Keith Kaucher has a deep seated passion for classic American customs and hot rods. His goal is to provide his clients with the most comprehensive and innovative design services to aide them in bringing the custom car or hot rod of their dreams to reality by providing them wit visual blueprints in a variety of formats. 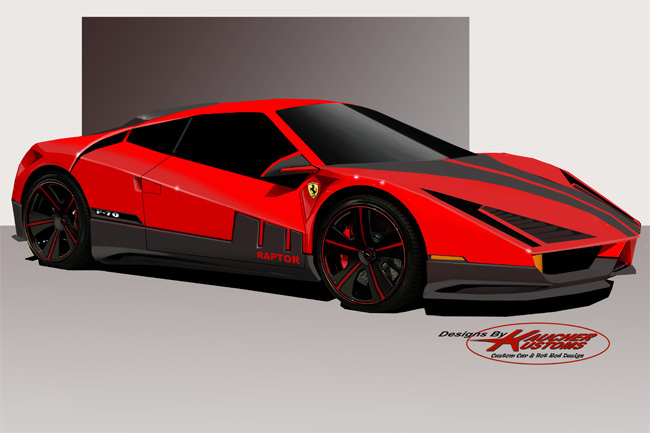 Keith has the ability to take his clients dream car concept and not only hand render a design on paper but provide the design in a computer generated 3D Model as well as provide a 3D scale model of the Design. Keith’s passion for customs and hot rods combined with his keen sense of style and his degree in industrial design allows him to provide his clients with detailed hand rendered designs that are proportionate and to scale. This is a key factor in assisting a custom car or hot rod fabricator in building the car of your dreams. After all, it’s a lot easier to get somewhere when you know where you want to go! With Keith’s background in industrial design, he can provide designs for aftermarket products that are not only aesthetically pleasing but also functional and feasible to produce.